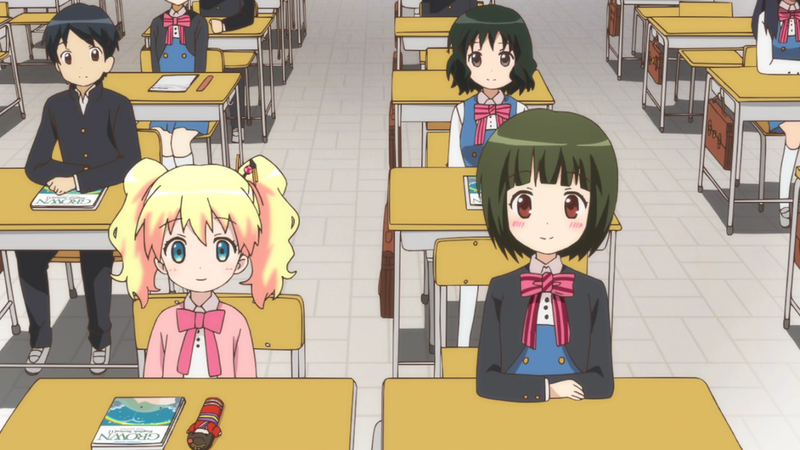 Kin-iro Mosaic – 10 | Mezashite! She got an “effort prize”. Like, the kind you give to the kid who shows up and isn’t very good at sports to make him or her feel better. Nothing to do with the episode, but one of my pet peeves is people who study one foreign language, and then view all languages through the lens of that language’s grammar/etc. 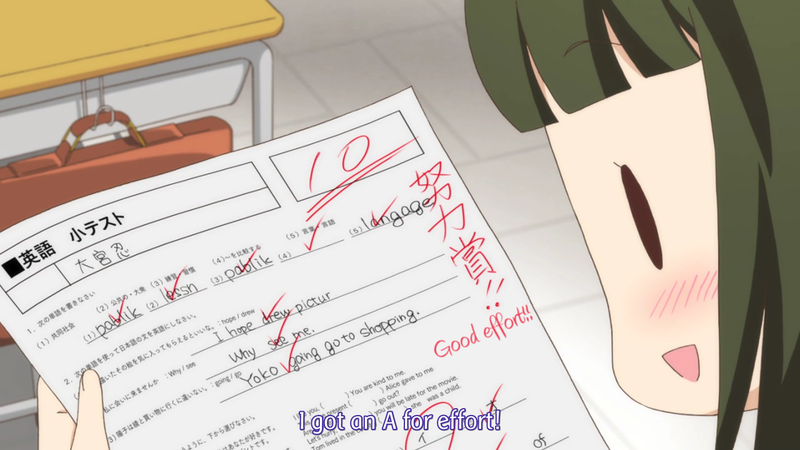 (since that’s the only language whose grammar they learned by explicitly studying it). A prime example is when students of Latin (who are native English speakers) refer to the noun in “of the ” as being “genitive” (if English has a genitive case, it would be the apostrophe-s one). Or when students of French refuse to acknowledge any use of the word “accent” (in the context of languages) other than “how one speaks a language”. The sentence “You grew up in Japan but you speak English with no accent” is perfectly fine. 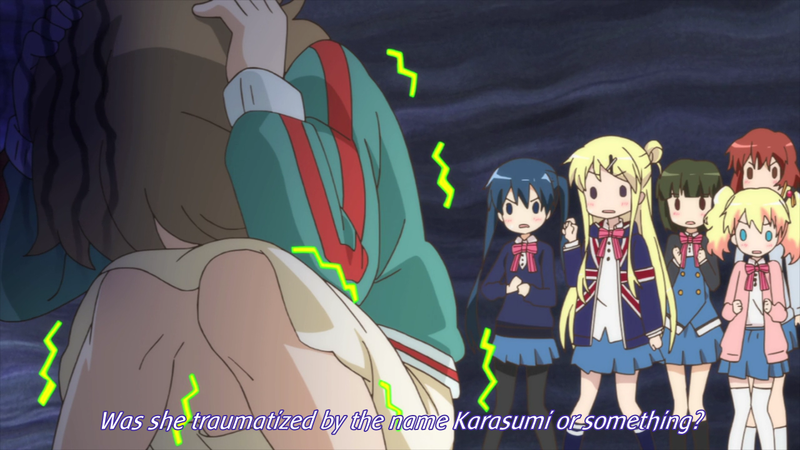 As in, “was she traumatized by people calling her ‘karasumi’ as a child”. Karasumi is a kind of food. Made from… fish eggs? Something like that. 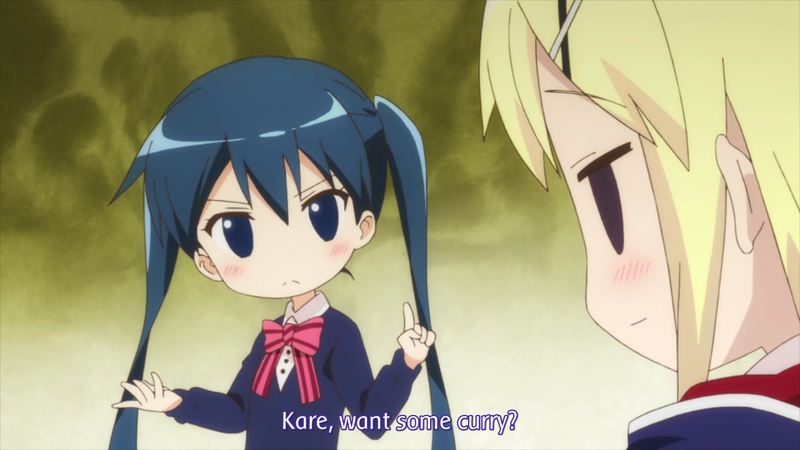 Curry is “karee” (カレー) in Japanese. 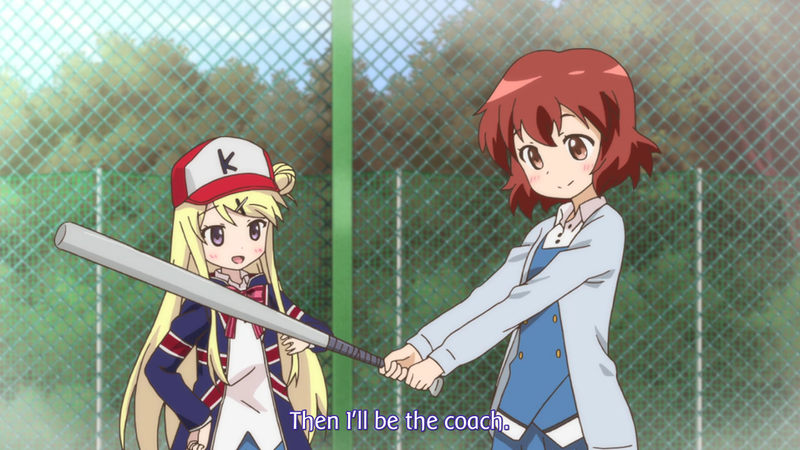 Though baseball coaches are usually called “managers”, what she means is for Aya to be the like, well… not-coach kind of manager. Blood type is a thing in Japan. I wanted to make this “lovers”, but noooo. How I wish it is not “partners” but “lovers” instead … All of the teasing are killing me !!! As usual, thank you very much for the release ! 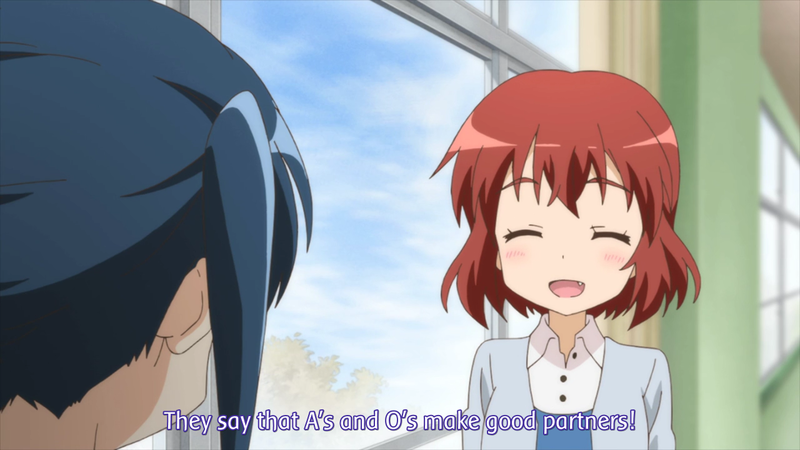 For a moment there I thought she got a good grade. 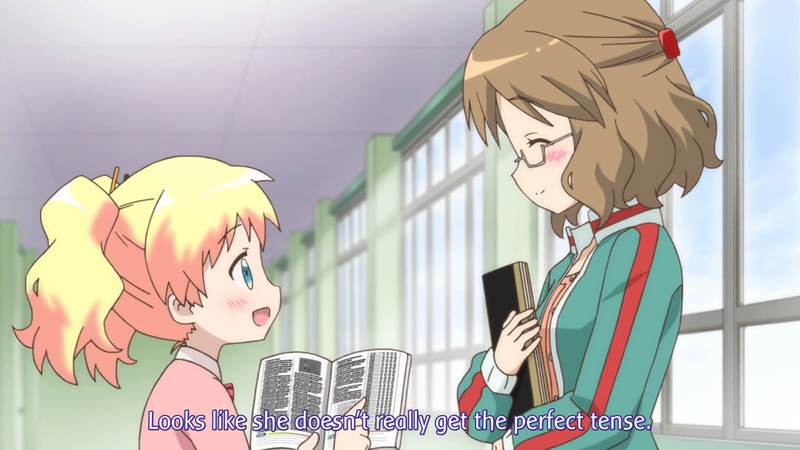 Since 10 is the highest. But it was Japan. Damn misleading grading systems. 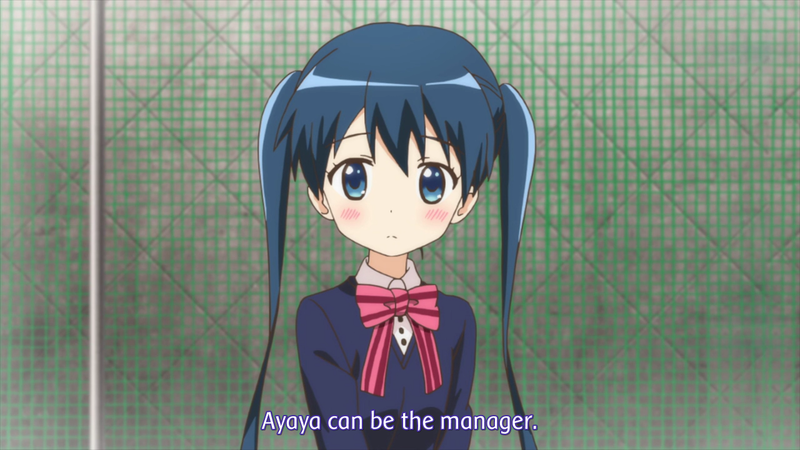 5:36 – Oomiya-san. Oomiya san! forgot that dash there, guys!